This is the second of five installments of our “Top Stories of 2010″ countdown. Here we tell the story of how the announcement of the “BC Missing Women Commission of Inquiry” and of “Project Sister Watch” were made possible only by the constant advocacy of aboriginal women. None of these stories would have unfolded or seen the light of day in the absence of community organizing and grassroots activism. The take-home-message of 2010, it seems, is that activism can be effective while defining who we are. On September 27 2010, the BC Provincial government finally announced an official commission charged with investigating the failure of the police to respond meaningfully to reports of missing women in the Vancouver Downtown Eastside between 1997 and 2002. The commission has come far too late, is too small in scope, and is chaired by the wrong person. But it is important to recognize that its existence is owed to the persistent advocacy of community activists. 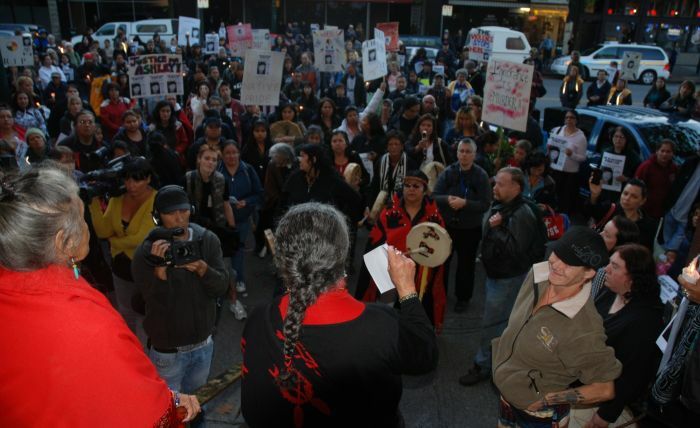 The Women’s Memorial March, for example, has continued to be held in the Downtown Eastside on Valentine’s Day annually since 1991. Community activist Gladys Radek maintains that at least 3,000 indigenous women have gone missing in Canada since the 1970s. Over the years, her organization Walk4Justice has organized several treks to raise awareness of the fact that the Pickton murders are only the tip of the iceberg. 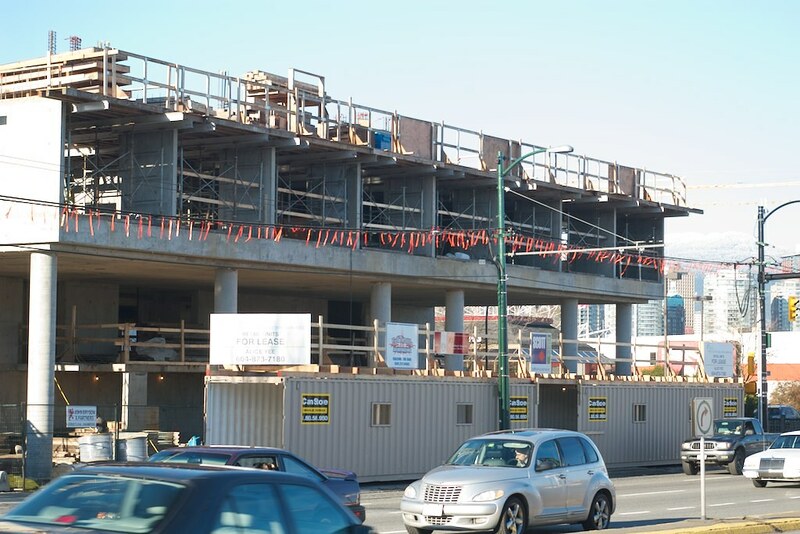 In addition to rent increases caused by the upscaling and renovation of dozens of low-income buildings around the city, Vancouver is losing affordable housing through the outright demolition of buildings. Last month, City Council approved the demolition of the Cecil Hotel. Two months ago, Vancouver City Council approved the loss of almost all low-income housing at the American Hotel, whose tenants were illegally evicted in 2006. Last year saw a drastic loss of housing, with City Council allowing for the closure of low-income hotels surrounding Woodward’s while granting the demolition permit for the 224 housing units at Little Mountain. More than anything else, the proclaimed successes of the “partnership” revolve around the construction of fourteen sites of social housing in Vancouver, known as the ‘Vancouver sites.’ The myth of these fourteen sites can be traced to the destruction of housing at Little Mountain. 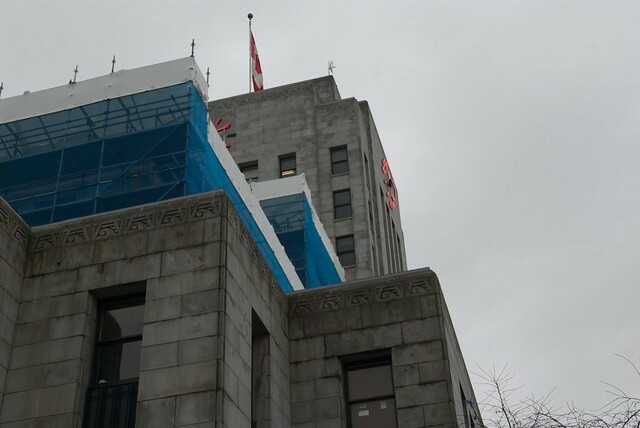 Vancouver City Council will hold a special meeting this Tuesday, Dec 12, to look over the proposed municipal budget. An administrative report distributed November 15th outlining the budget can be found here. Last Thursday, December 2nd, a public meeting was held, with 18 of the 20 speakers speaking against the proposed budget. Over the past few months, the city has been engaging the public through telephone, web and paper surveys (around 1300 were completed). According to the report, the most pressing issues in the city for residents are Homelessness, Affordable housing, and Public Transit. The popular focus on poverty and affordability was one of the reasons Vision Vancouver concentrated so much on homelessness during their campaign. Over the past two years, there has been a significant increase in homelessness and more communities are feeling the pressure of a lack of affordable housing. The most valued city services for residents, according to the survey, were Public Libraries, Fire Services, and Garbage Collection.